I am looking to create a work group folder for 3 people to use the same library in the office. Is there a way in which I can share the library's I have on my vectorworks with others and for those libary's to update as I change them? The most efficient and effective way to achieve this is to recreate your user library folder structure as a workgroup folder. You will need to run the Refresh Libraries command to see the workgroup in the Workgroup tab. A restart may also be advisable just to make sure. What this process should do is add all your saved library files for you colleagues to use. 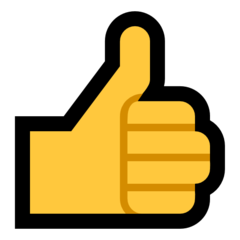 I haven't tested it, but I believe that using a shortcut (or Alias on a mac) will share your User Libraries Folder to the workgroup. I know that some use of Shortcuts (Aliases) is allowed for in this process. Because you have the library folder structure in place, all the Vectorworks tools that use library resources will include the workgroup files as well as the default ones in the Vectorworks built in libraries. 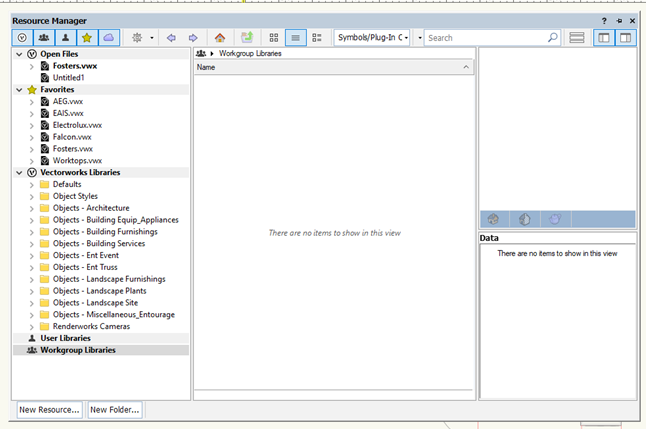 This includes linetypes, hatches etc as well as more fancy stuff like Windows, Doors, Data tags etc. The Various folders within the Libraries folder will not show up unless they contain a valid file so if there are no resources there yet , you won't see anything. You can export resources to the workgroup folder as well. It's a bit convoluted and you do need to stick to the rules. I hope I've got it right! Take a read through these two threads and then come and ask again if something is not clear. However there is nothing appearing in the workgroup libraries drop down, the files are automatically added to the favorites. Is this correct? The key to this is that any folder you refer to needs to have all of its files within a "Libraries" folder. You can point your VWX Workgroup preferences to any folder as long as the folder structure is: Anyfolder/Libraries/ and then your files or sub folders containing files. Make sure that you run the “refresh libraries “ from the resource manager. 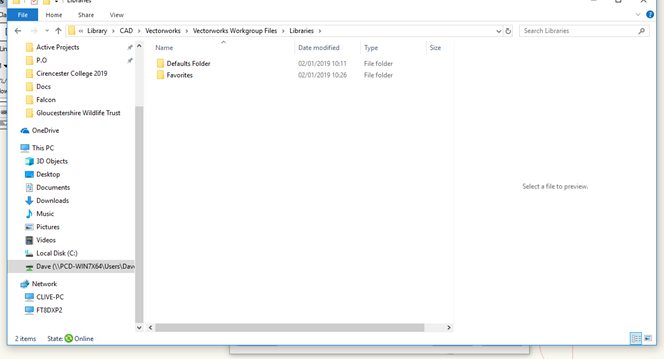 If there are no VWX files in the folder then nothing at all will show up in the Workgroup Libraries tab of the resource manager until there are. 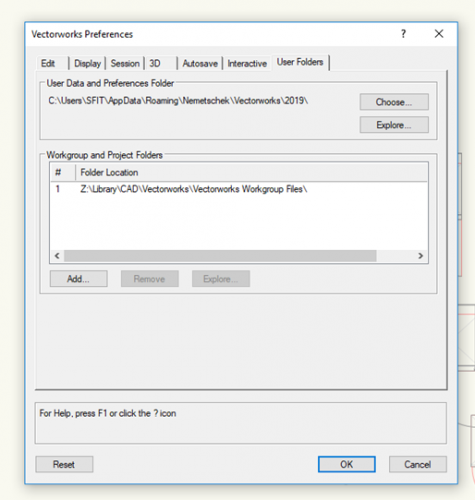 Try the process in my post above - this will enable you to have a folder structure that VWX plugin tools will recognise and (hopefully) reference when they are in need of specific resources.